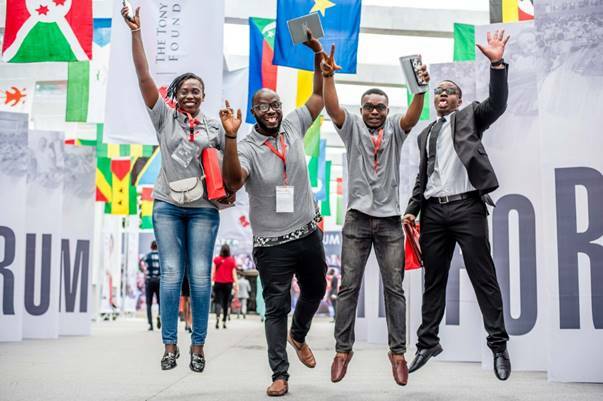 the Tony Elumelu Foundation will begin accepting applications for the fifth cycle of its Entrepreneurship Programme. 1,000 selected applicants will join the current 4,470 beneficiaries of the Programme. 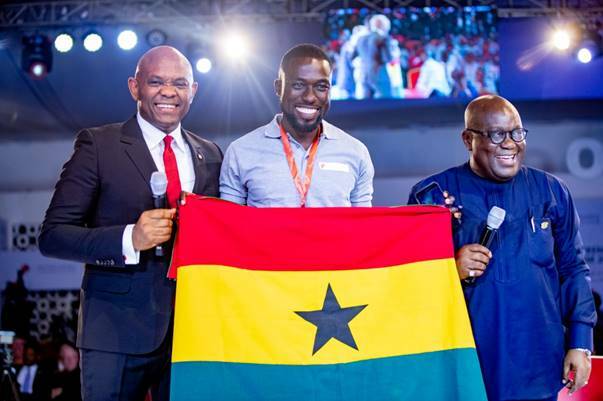 Tony O. Elumelu, Founder of the Tony Elumelu Foundation and President Nana Akufo-Addo, President of Ghana pose with a beneficiary of the TEF Entrepreneurship Programme at the 2018 TEF Entrepreneurship Forum. United Bank for Africa (UBA) has rewarded another 20 customers who emerged winners in the second quarterly draw of the UBA Wise Savers Promo with N1.5 million each, bringing the total amount won by 40 customers so far to N60 million. The electronic raffle draw which was held at UBA House on Thursday 18th of April, was witnessed by the Consumer Protection Council, National Lottery Regulatory Commission and Lagos State Lottery, Board. Lucky winners who emerged in the second edition, cut across all regions of the country. They include Alli Abiodun Ganiu, Tari E Francis; Onah Joseph, Okwandu Faith Ezinne, Igwedinma Chiedozie Onyekachi, Mgbakor Edmund Eke, Nwokoye Adeseye Ifeanyichukwu and Achi Sheyin Micheal. Others are Onyekwuluje Christiana Osho; Ibilola U Okeke; Amos Luka, Mukhtar Halima, Musa Abubakar, Olanrewaju Kolade David; Okongwu Hillary Chidinma; Loretta O Okodua; Adeyemo Biodun Adeola; Oyewusi Oyeyinka Abidemi; Adeola O Adewumi and Anyanwu Vivian. The promo, which commenced in September last year is expected to run till September 30, 2019, and will see another 40 customers from across Nigeria become millionaires, winning N60 million in the remaining quarters of the year. At the end of the promo, a total of N120 million will have been won by 80 customers. Speaking during the event, UBA’s Executive Director, Ayo Liadi, expressed satisfaction at the level of response received from customers across the country, adding that the campaign was targeted at rewarding loyal customers and also inculcating in them the habit of saving regularly. He noted that there was a remarkable increase in the number of participants in this edition compared to the previous one, adding that the bank’s objective of helping customers’ save for the rainy day is being achieved. Ayo Liadi urged other customers to take advantage of the subsequent opportunities the remaining two quarterly draws offer. According to Liadi: “There is no better time to give back and delight customers than this challenging economic period where people need all the support they can get to make life more meaningful. With this in mind we decided to prioritise our customers as we always do at UBA by giving them plenty to cheer about and that is the reason why another 20 more customers have been made millionaires today”. “During the recent cheque presentation to the first quarter lucky winners, I watched with bated breath how happy and elated each of the winners became. You could easily see the joy and happiness in their eyes indicating that the N1.5m would make a huge impact in their lives. That in itself will spur us to do more in fulfilling their dreams” he said. Head Retail Liabilities, Tomiwa Sotiloye, while explaining that the promo was consistent with the bank’s novel initiatives in prioritizing customers, said that it was necessitated by the invaluable belief the Bank has in its customers. “We will continue to listen and give them nothing short of the best that they deserve. UBA will not relent, because we are impressed with the impact this has made so far and will continue to touch the lives of our loyal customers positively”. Sotiloye noted. The criteria for qualifying for the draw is to save at least N30,000 in your UBA savings account or in instalments of N10,000 each for a period of three months. Those yet to be UBA customers can open a savings account on any of our numerous bank channels including Magic Banking (*919*20#) and LEO, or in any of the UBA branches across the country, and start saving. FBN Holdings Plc has won the 2019 Best Corporate Governance in Nigeria Award organized by World Finance; the leading financial services group announced today. The award ceremony was held recently in London Stock Exchange studio by World Finance, renowned for its comprehensive coverage and analysis of the financial industry, international business and global economy. 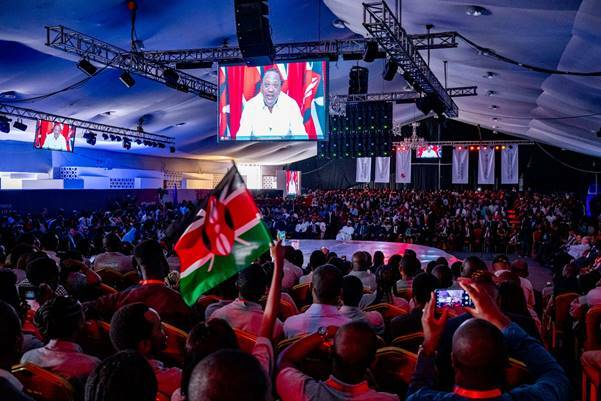 The annual event is usually organised against a backdrop of a comprehensive analysis of the very best across various areas of business endeavours in each market around the world. UK Eke, Group Managing Director, FBN Holdings Plc receiving the Best Corporate Governance in Nigeria award on behalf of FBNHoldings from Paul Richardson, Producer, World Finance at the World Finance Awards 2019 held in London Stock Exchange Studio, London recently.